I sent this card to Czech on December 26, 2014 as a replacement of US-2566010 that was posted on December 26, 2013. 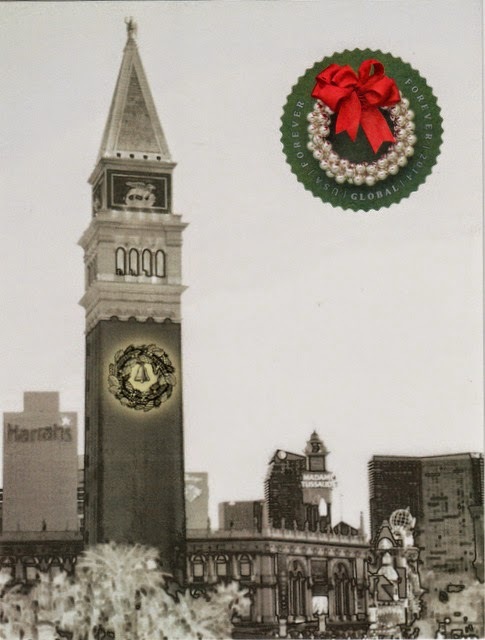 The original copy was the same as US-2518598, showing the tower at The Venetian Las Vegas with a round shaped USPS Evergreen Wreath Global Forever Stamp issued on October 24, 2013. It was apparently lost in the mail and had expired since. When the Postcard ID was dropped from the PostCrossing system after one year, it has formally entered my postcard graveyard. The replacement card has a new USPS Silver Bells Wreath Global Forever stamp that was issued on October 23, 2014 along with the Winter Fun stamps. 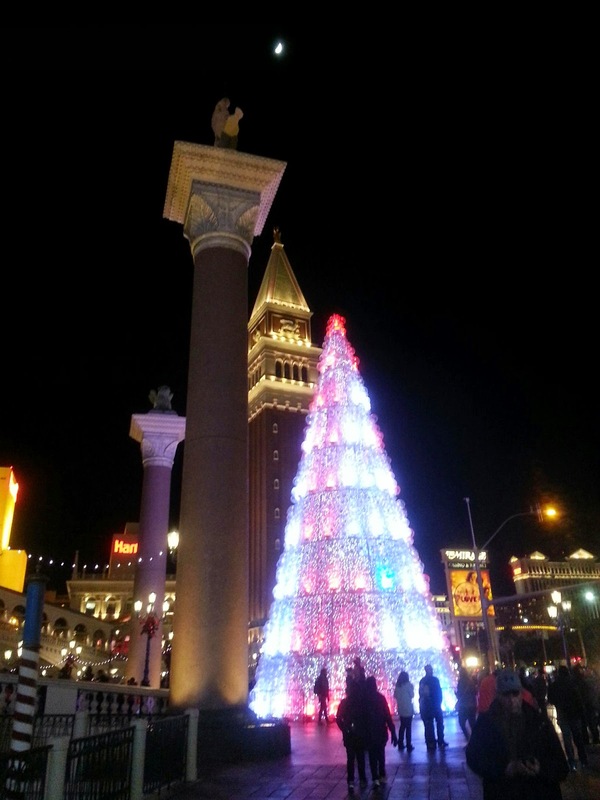 The Venetian Tower with Christmas Tree as seen on December 27, 2014.